For the second year in a row, FCB Joburg’s creation for Coca-Cola SA and now a global advertising phenomenon – Bobby – has been in the Top 20. On the 2013 list, the first ‘Share a Coke’ ad starring the canine ranked 2nd on the list; on the 2014 list the second TVC comes in at 4th. The second of the TVCs from FCB South Africa to feature on the 2014 list is FCB Cape Town’s ‘Happy Song’ for Engen/Wimpy at position 16. 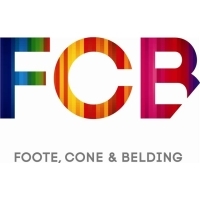 FCB South Africa CEO and Chief Creative Officer, Brett Morris, applauded both agencies saying it was getting tougher and tougher to deliver work that captured the hearts and souls of consumers. However, FCB agencies’ continued presence on the list affirmed their empathy for man-in-the-street South Africans, creative ability and staying power, he said. Morris added that it was interesting that several of the Top 20 ads were created by foreign agencies, which may have something to do with the production value of that work. He says he hopes that South African agencies and cllients are able to reverse this trend as locally produced work, based on local insights, will always resonate more strongly with a South African audience. He also pointed out, if the ads created by foreign agencies were excluded from the list, Bobby would rank 2nd, making it truly ‘second’ in a row for FCB Joburg and Coca-Cola.